A new painting in the South Bronx warns residents that something dangerous might be creeping into their neighborhoods: Bushwick. 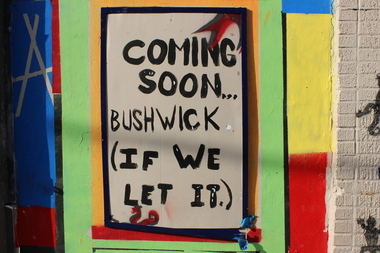 Harry Bubbins, a founder of the environmental group Friends of Brook Park, painted the message and maintains that it is supposed to be ambiguous about changes arriving in the South Bronx, despite its somewhat ominous tone. “Rather than have something overtly against gentrification or ‘stop gentrification,’ we thought we’d put something a little more thought provoking and let people discuss it from there,” he said. 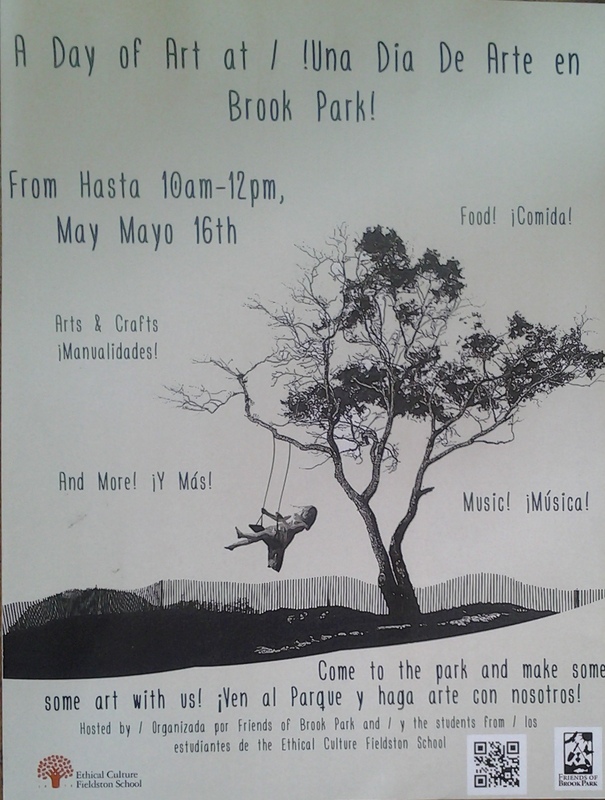 The painting has already attracted the attention of Ed García Conde, founder of the blogWelcome2TheBronx, who posted it to his Instagram feed, where it set off a lively debate. Bubbins said he has already made up his own mind about gentrification as well. The South Bronx has already seen several amenities arrive that would tend to be more stereotypically associated with gentrified Brooklyn, including a beer garden that serves locally made brews and a pop-up coffee shop that served drinks with racially charged names. Although the mural just went up a few weeks ago, Bubbins said he has lived in Mott Haven since 1995 and has already seen the area change drastically. Arts and Crafts, Music, Fun! Saturday May 16th 10am to 12 Noon. All ages.